Megan works as a Psychotherapist, Coach and Facilitator with Individual, Couples, Families and Groups, people passionate about their personal growth, and those who are really struggling with mental health symptoms, supervising teams and facilitating corporate groups. She finds her work enriching and a privilege. Currently she is enjoying working with small groups and large groups including counselling teams, personal development groups, corporate groups, and supervision . 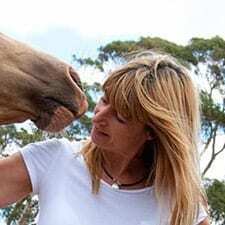 Megan developed the Equine Psychotherapy Australia Model, which is a comprehensive and coherent Psychotherapy Model in Equine Assisted Psychotherapy and Learning. She believes it is a missing ingredient in the field – a Psychotherapy Model that is all inclusive, theoretically sophisticated and unlike other Models offered in the US and around the world. Meagan is thrilled to be practicing it and teaching it to students in Australia, New Zealand and the USA.